The Luxor Deep is a remarkable fiberglass swimming pool that offers a bold 7′ 10″ deep end & long body. It’s a great swimming pool for lap swimmers & divers alike. 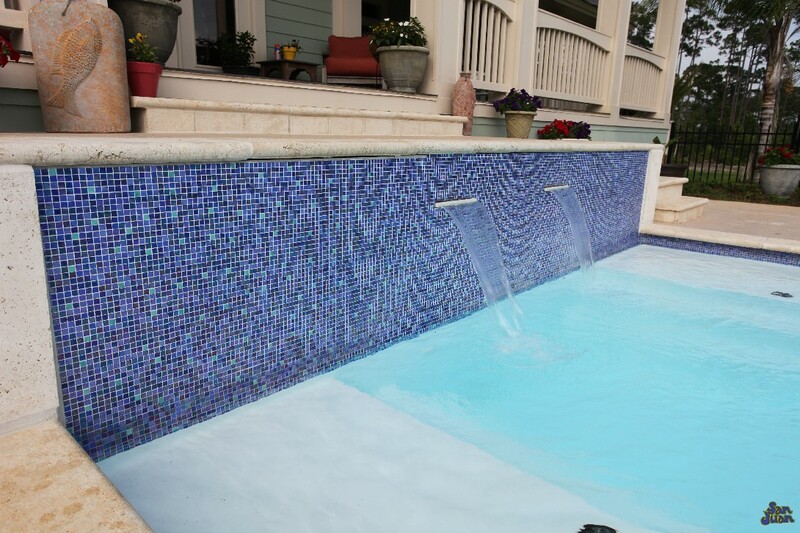 Bring the Luxor Deep into your home for a large and enjoyable outdoor swim space! 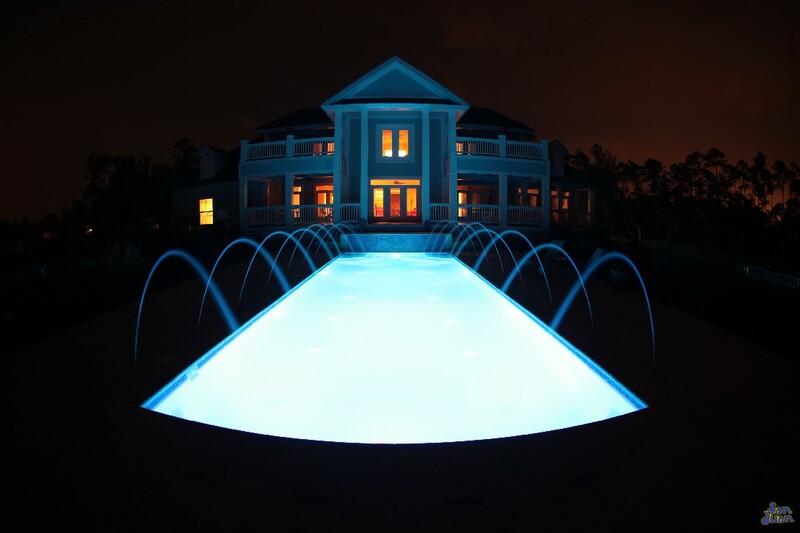 You’ve guessed it, we have developed a perfect lap swimming fiberglass pool! It’s slightly longer than our Marathon lap swimming pool – which bolsters an overall length of 40′. However, we’ve spruced up the lap swimming design & paired the Luxor Deep with a bold 7′ 10″ deep end. 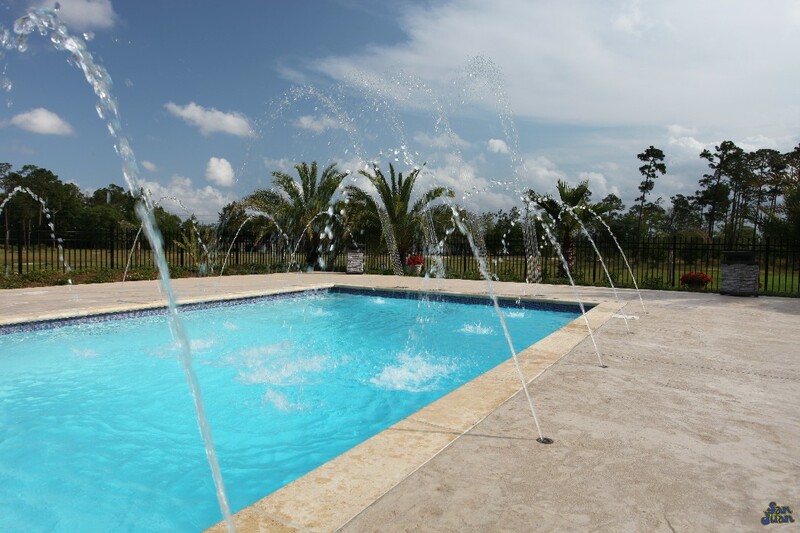 This is a design for the record books and you won’t find one like it anywhere else on the fiberglass pool market! Our inspiration for the Luxor Deep is the athletic family that likes to use their outdoor space for recreational & aerobic activity. The Luxor Deep is designed for rigorous swimming and pool games. Although it’s also a great pool for entertaining large parties of guests, we recommend this for the swimmer who desires regular water workouts. We don’t want to just brag about the superior length & deep end design. We also want to bring your attention to our elegant set of dual entry steps, located in the shallow end. This is a perfect location to show off your design skills. If you’re interested in positioning a dual set of handrails (custom or standard) this is a great location for them. Secondly, our dual set of entry steps provides a great venue for guests to relax and connect in between swim sessions. Lastly, the Luxor Deep pairs exceptionally well with LED Lighting & unique Water Feature designs. Our builders and customers often install a series of Deck Jets along it’s perimeter. 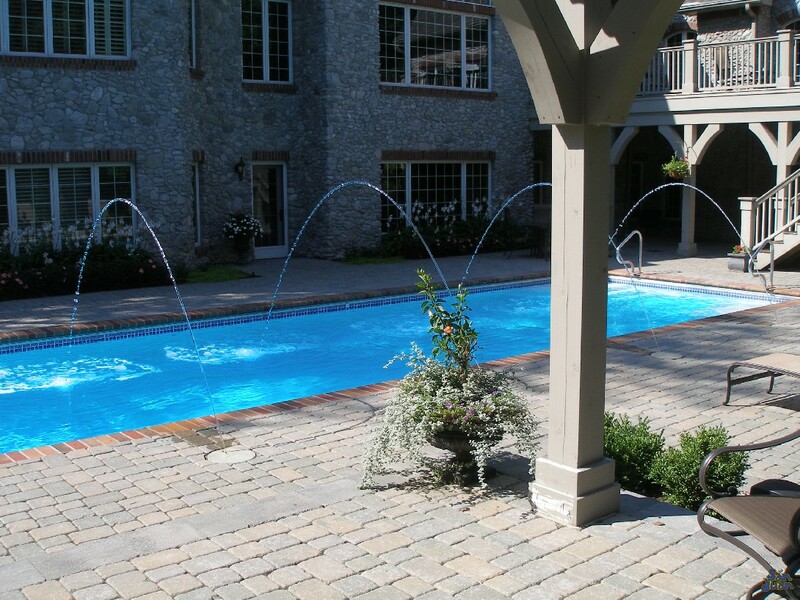 These Deck Jets project a continuous flow of water into the body of the pool. They can be back light with LED lights or left plain and used during the day time. 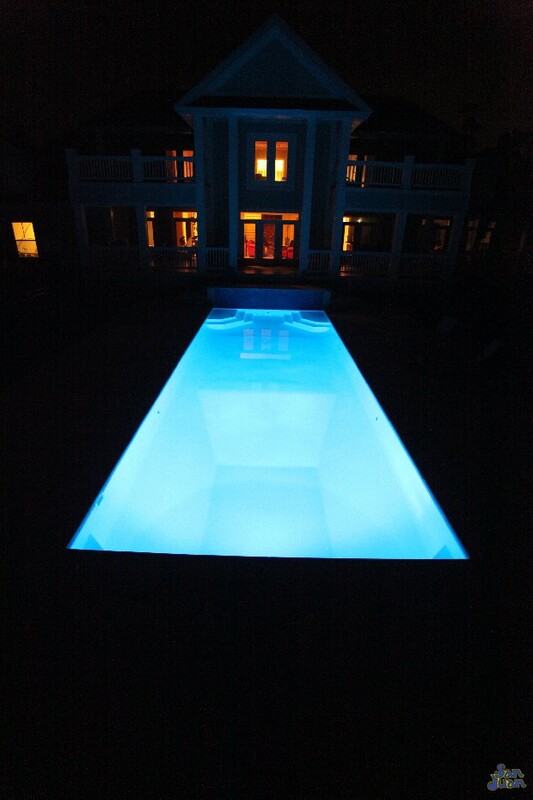 Secondly, LED lights draw the eye towards the large deep end and wow both guest and family! It’s hard to not recommend the Luxor Deep to our clients and we are proud of the positive feedback we receive from our clients! The Luxor Deep joins our renowned Rectangular Pool Shape family. However, it’s Large Pool Size & Deep End put this swimming pool into a category all in its own. We are proud to introduce this swimming pool to our San Juan customers because of it’s diversity and reliable reputation. Utilized in some pretty amazing construction projects, the Luxor Deep is commonly purchased for large scale construction projects. Perfect for homes with large backyards & perpendicular angles, it’s a swimming pool that makes a distinct impression that is hard to forget.